I recently discovered Bamboo Cosmetics and contacted them about doing a review of their products, luckily they said YES! So I got to try out BAMBOO LASH and BAMBOO BROW! · Bamboo extract known as the richest know source of natural silica (essential for hair growth and shown to prevent hair loss). 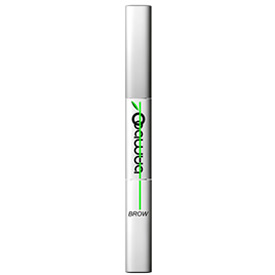 · The brow enhancer gradually darkens your brow hairs and tints new growth to make the brows seem thicker. 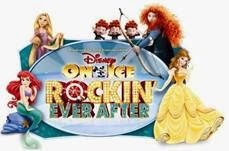 Find out Much more info HERE!! 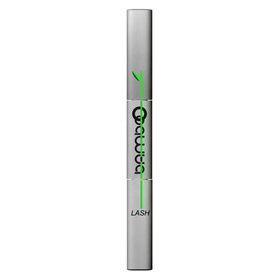 First off I will tell you about my experiences with Bamboo Lash! I don't have bad Lashes (i don't think lol) but who doesn't want bigger/fuller eyelashes, so I was excited to try out this product, and was honestly very skeptical of it actually working I mean there are so many products out there that claim to make your lashes fuller or longer and they are in no way good for you so Of course I had my doubts on a NATURAL product actually working! I have only been using Bamboo Lash for a week now and I honestly can Notice a GREAT deal of difference in my Lashes they are not only longer but they are darker too!! The site tells you best results in 4-6 weeks so I can't wait to see how great my lashes will be looking by that time! I was normally using 3 types of mascara every morning (each had it's purpose i promise :)) and now I can just apply one type of mascara and have amazing Lashes! I've caught myself just looking at how great my lashes look every morning when I'm done with my makeup kind of a double take in the mirror :) So I give this product 10 stars (because 5 would not be enough)! I had a few sparse patches in my brows, nothing I ever worried about though I just filled them in with brow eyeshadow(yeah I'm too cheap to buy "brow filling" products eyeshadow works perfectly fine) but after using Bamboo Brow, for just a week also, My brows look great, and I actually care now lol! My brows have darkened and become fuller (but not bush man fuller so no worries) they look natural and wonderful, Bamboo Brow totally corrected all my teenage years of over plucking that ended up leaving me with patches! and I was shocked that the Brow product actually left noticeable results in only a week's time, my brows grow Slow I mean SLOW I only have to touch them up every like 6 months or more so for Bamboo Brow to Show me such great results in such short time I'm very very impressed! I no longer have to use my eyeshadow to fill in my brows in the mornings! Overall I have fallen hard for Bamboo Cosmetics, great products, that actually work, and are natural and good for your body, what's not to Love?!? !